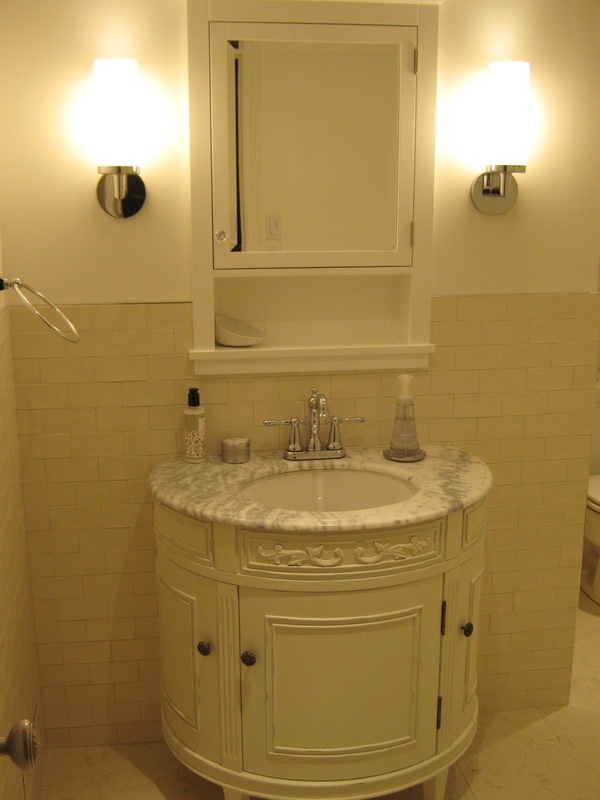 Take your bathroom tile work to the next level. 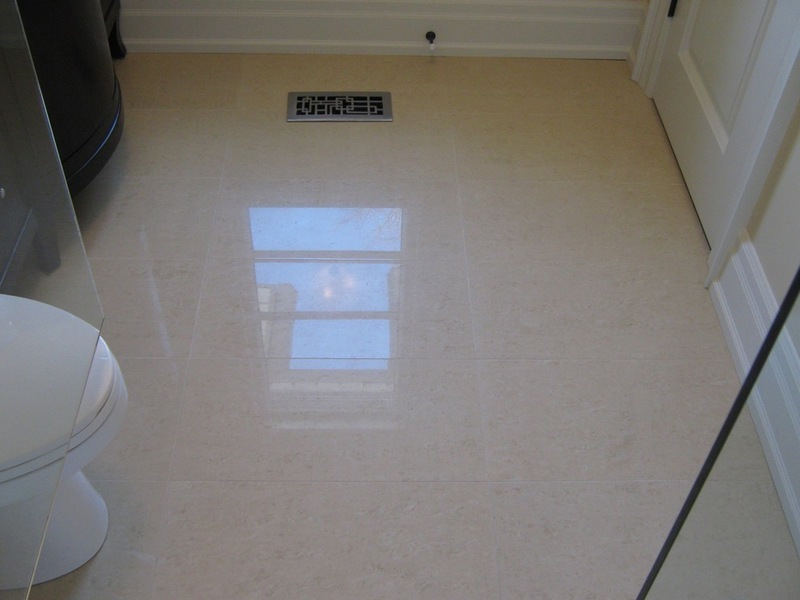 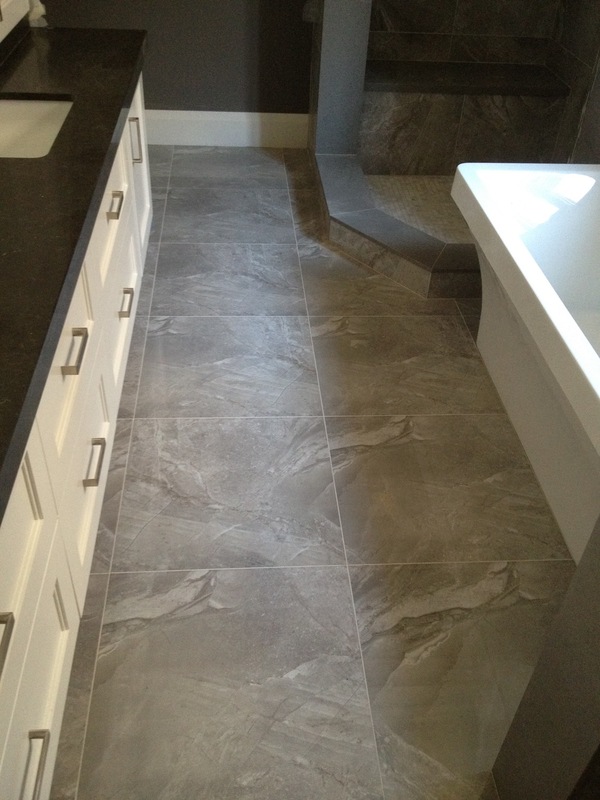 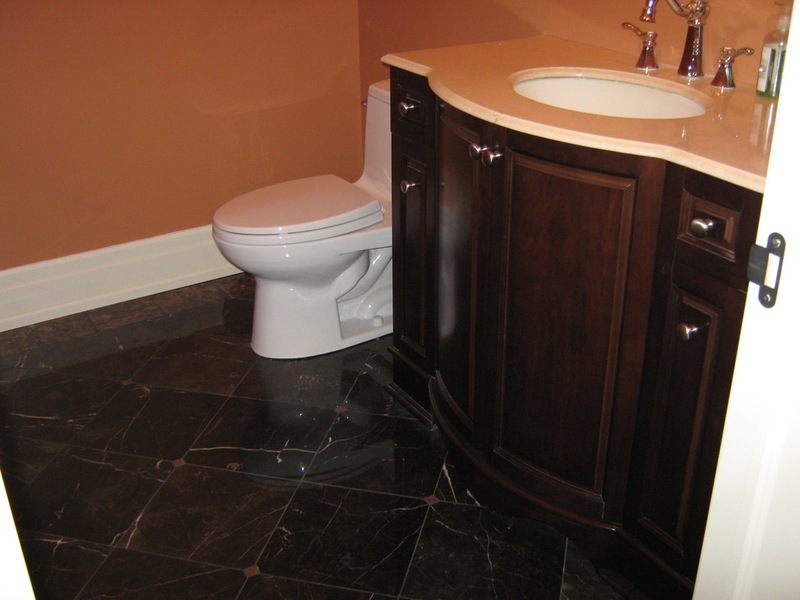 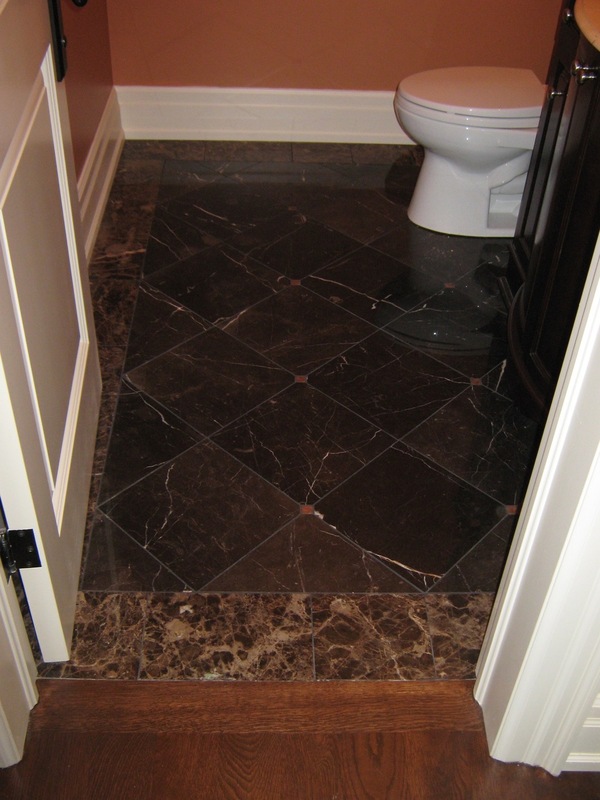 Have Prestige Tile Installers work on one of the most important rooms in your house, your bathroom. 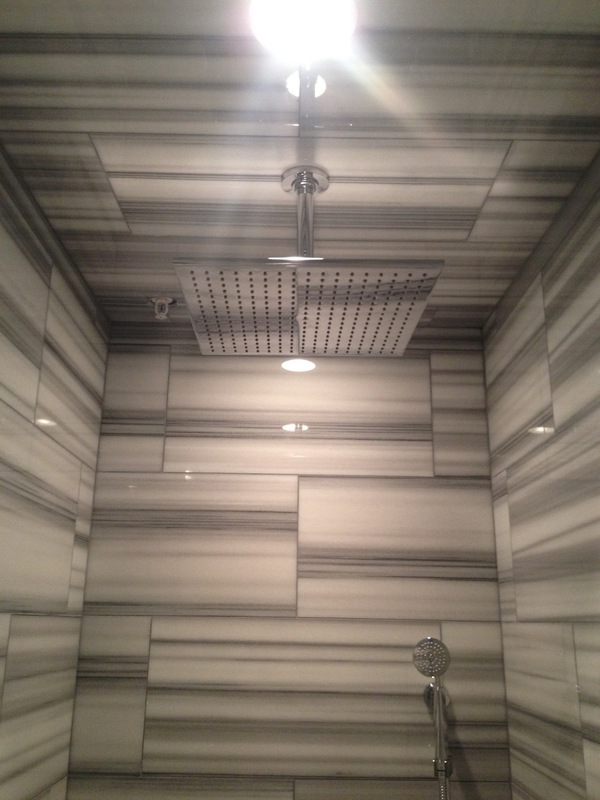 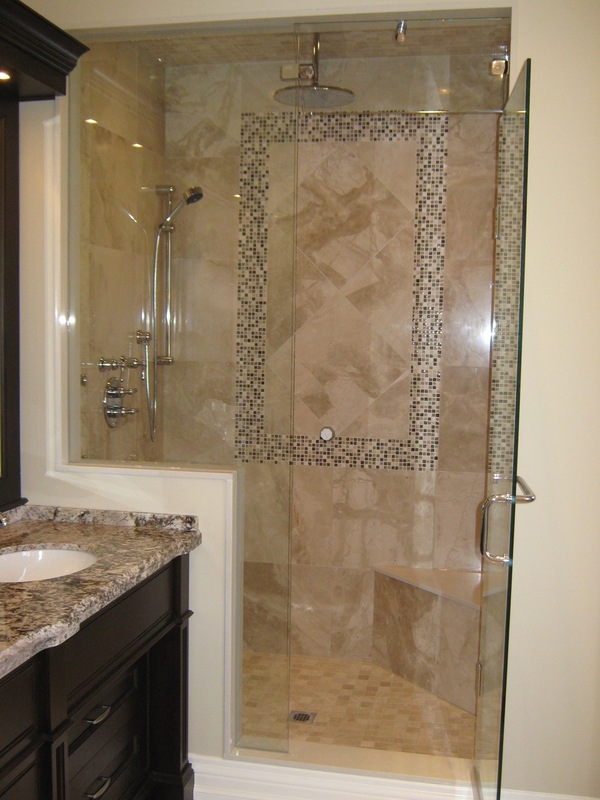 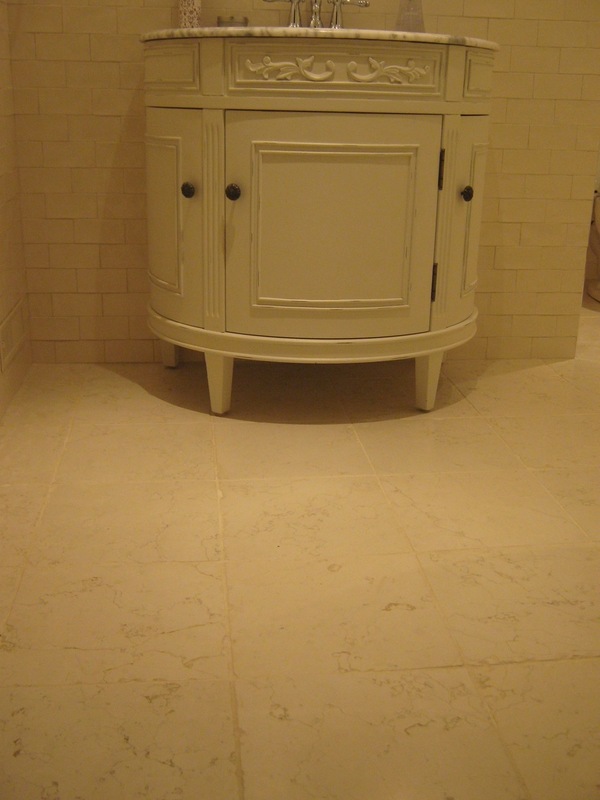 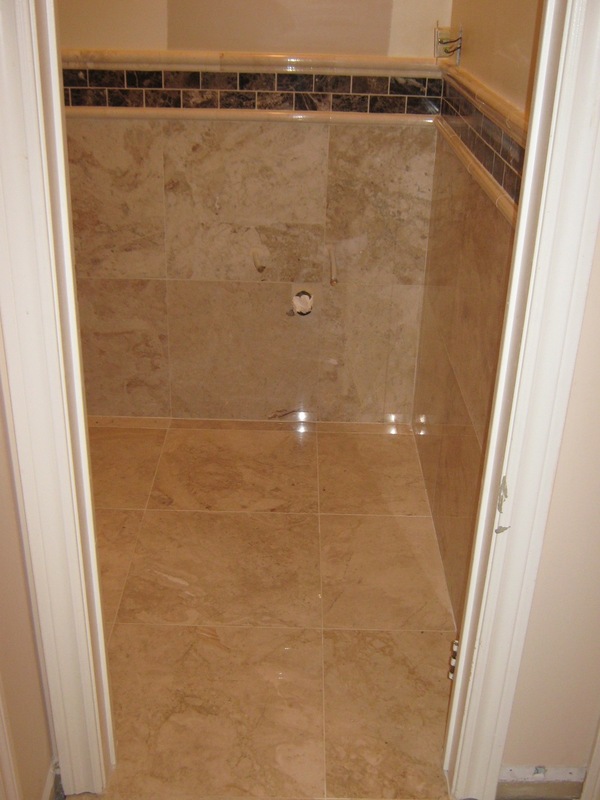 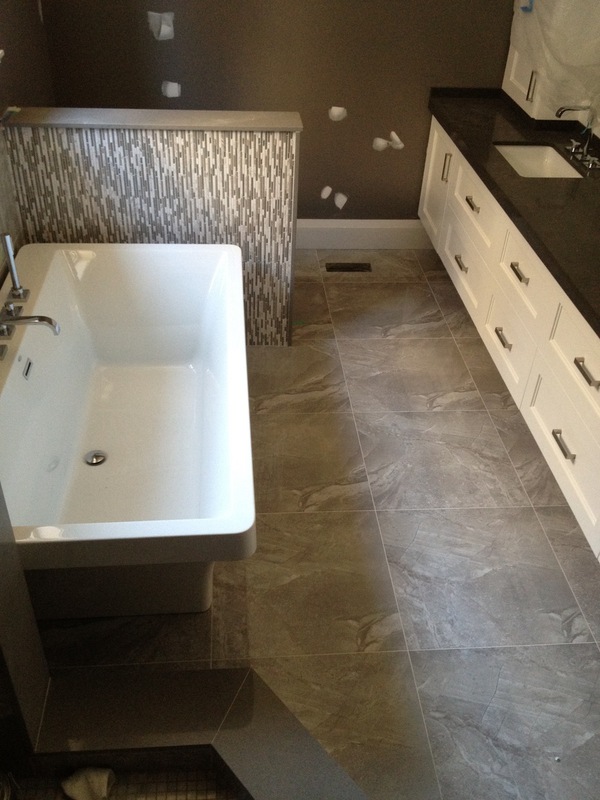 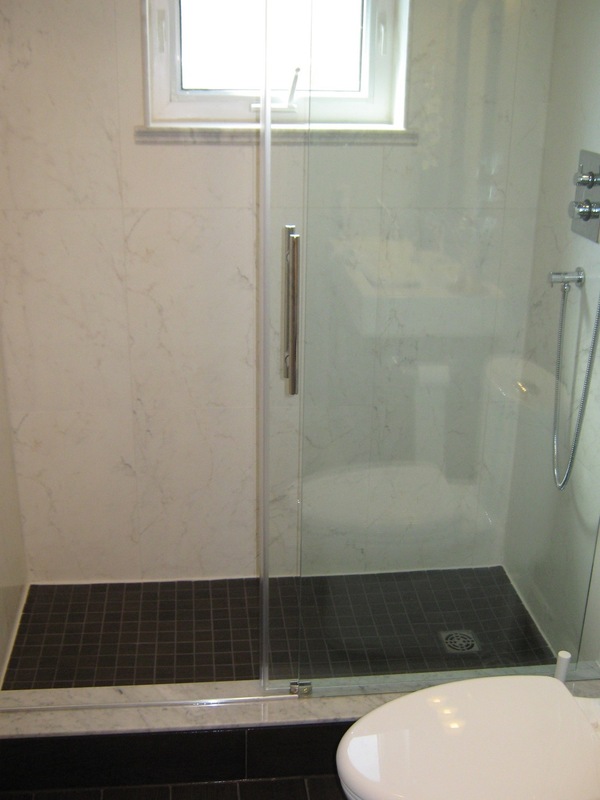 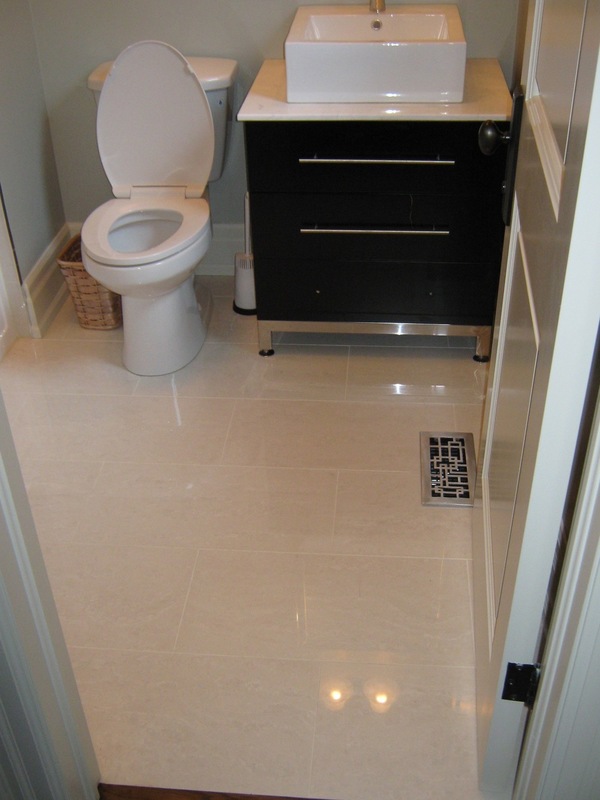 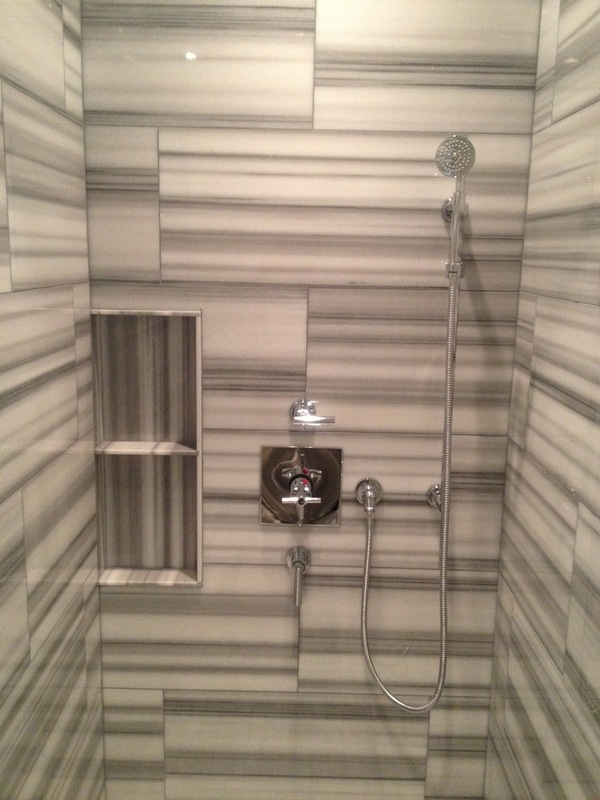 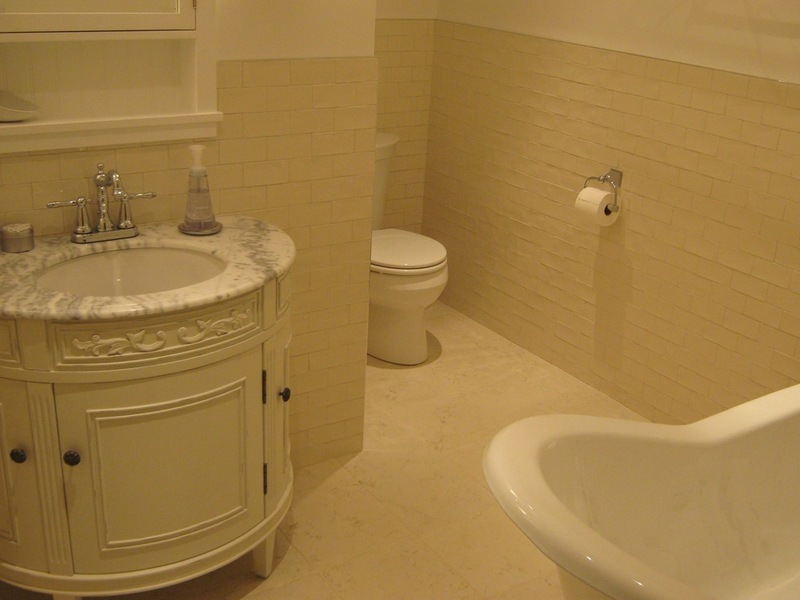 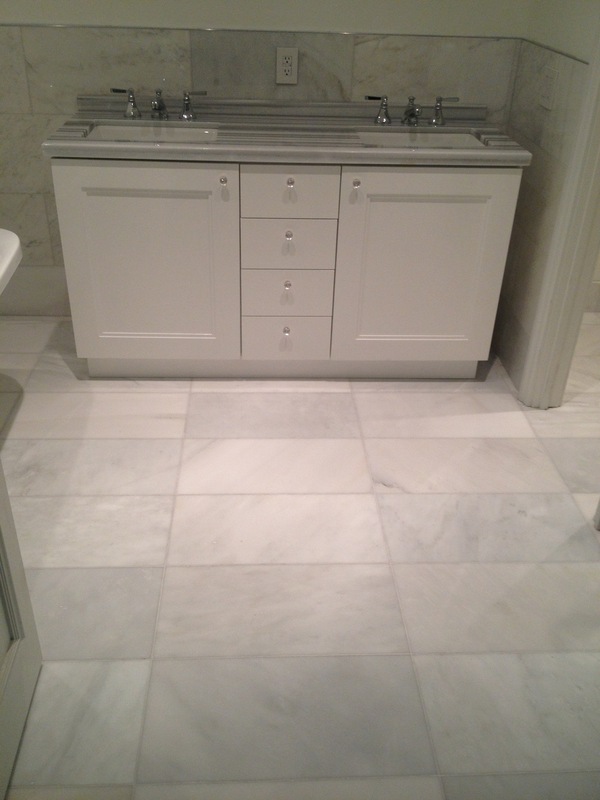 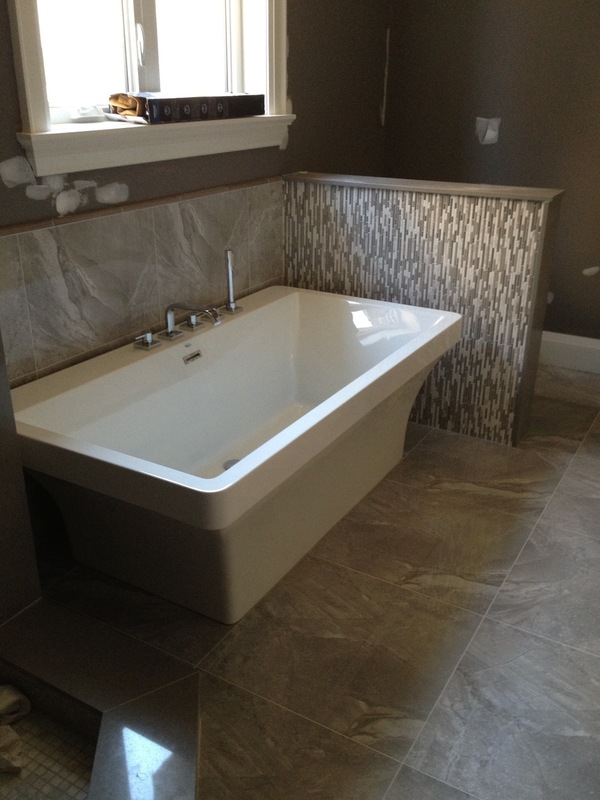 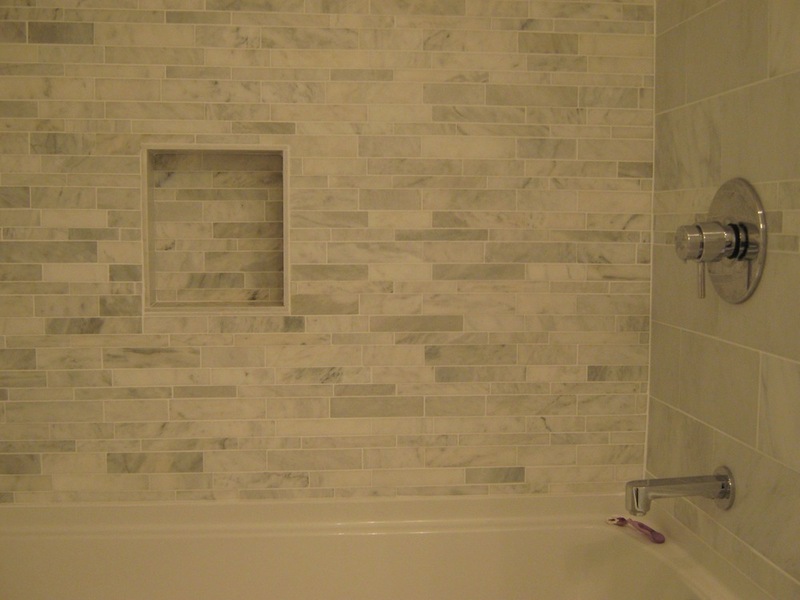 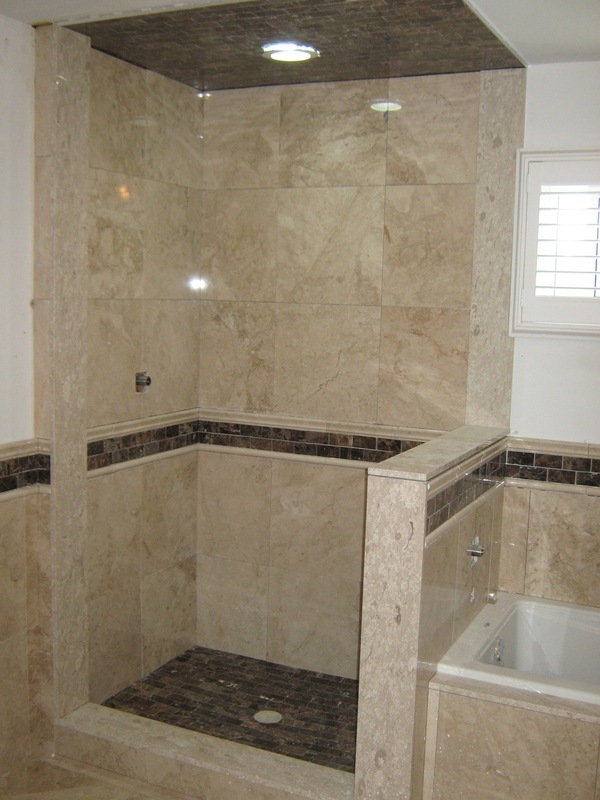 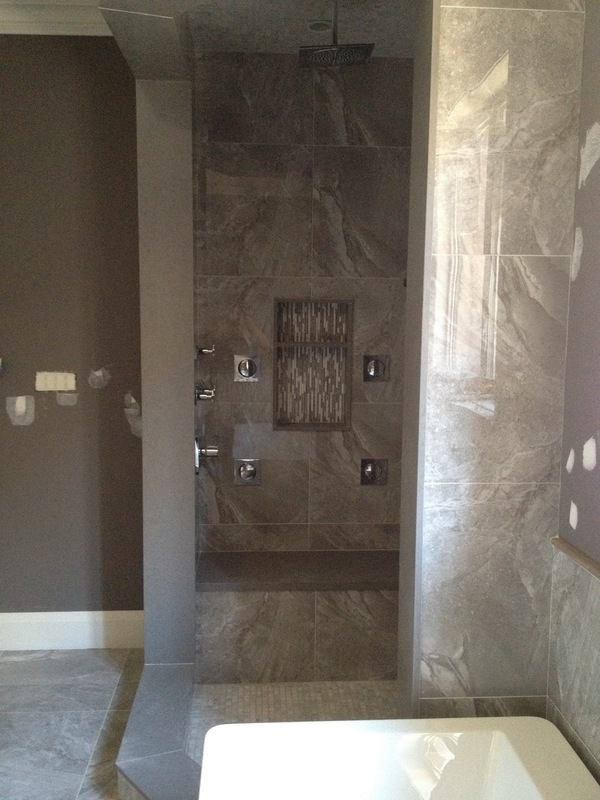 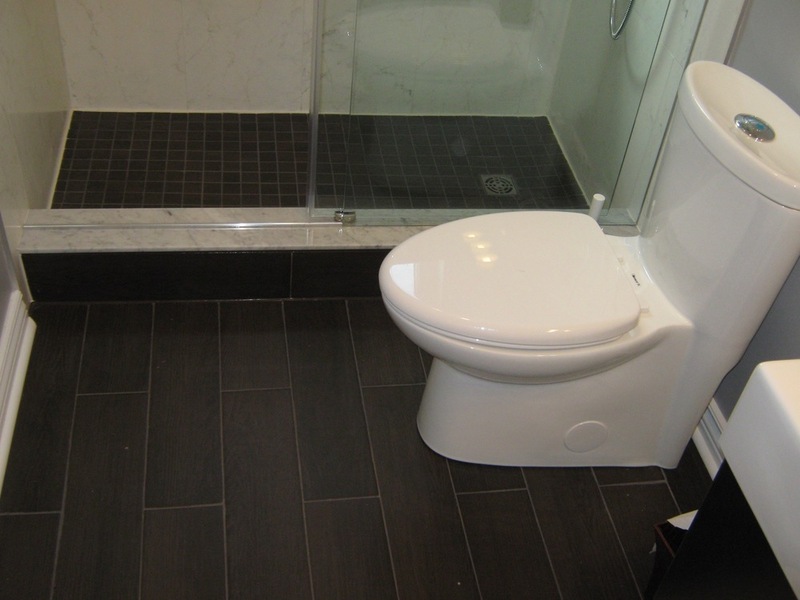 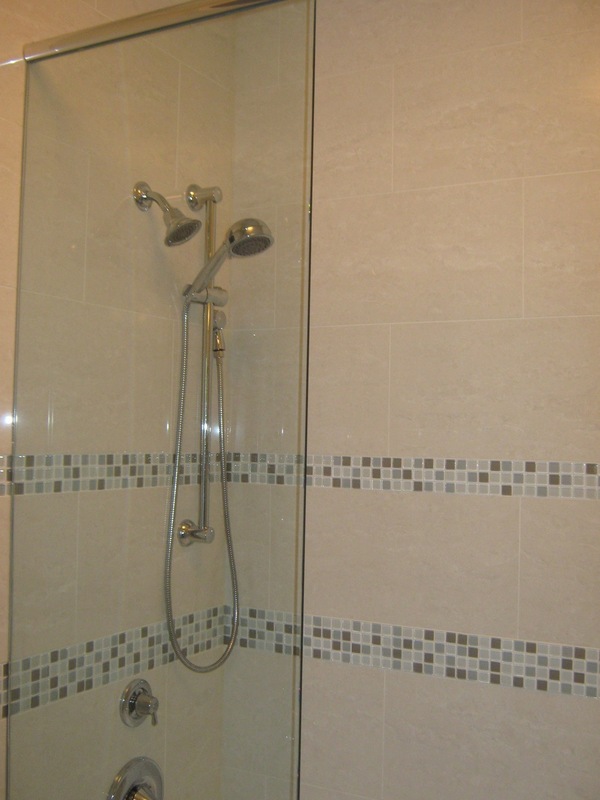 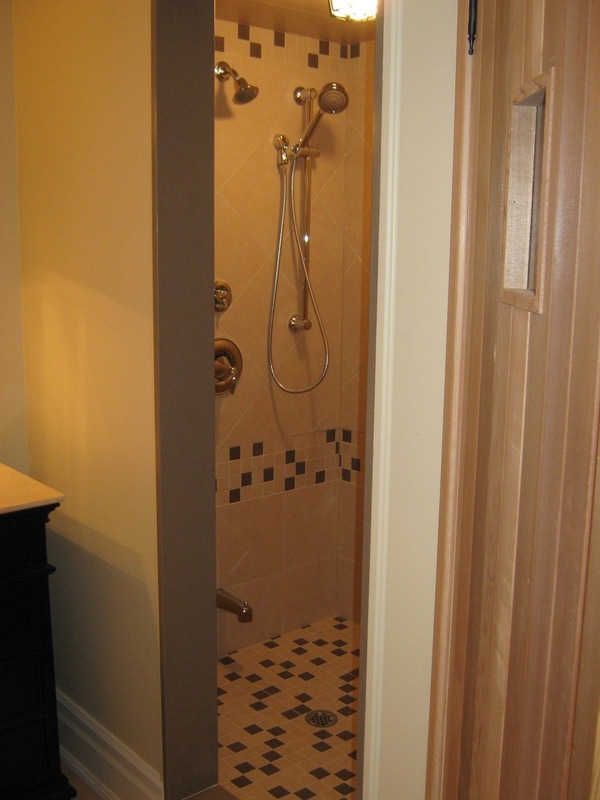 There are no limits to the custom tile work that can be designed in a bathroom and shower. 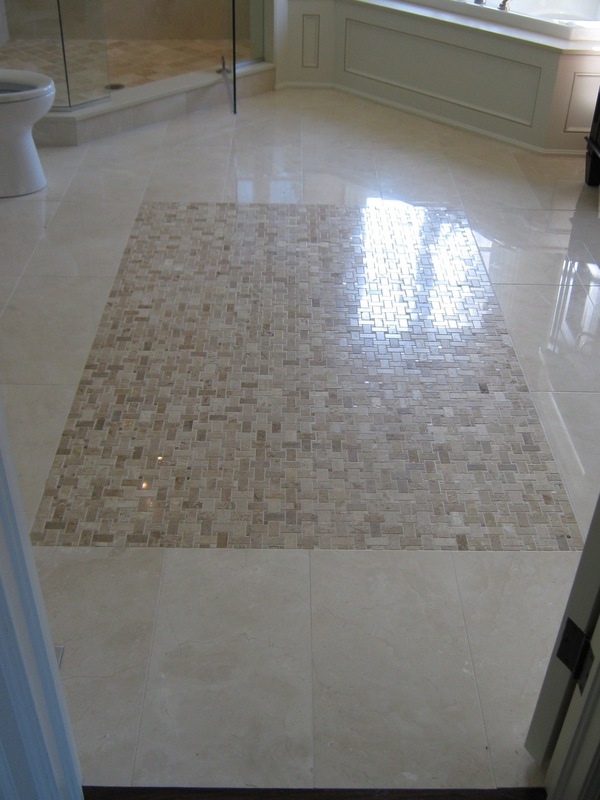 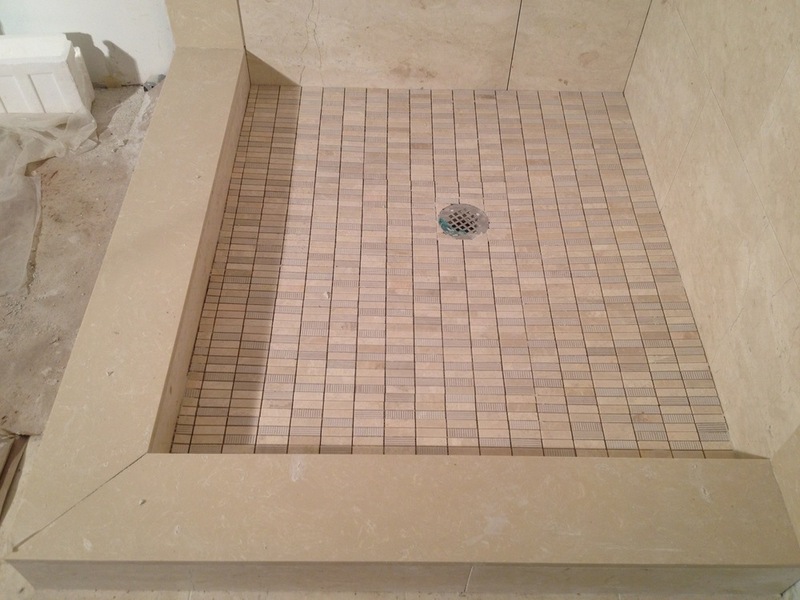 We have tiled with the smallest mosaic tiles to the largest 36"x24" tiles in bathroom all over the city. 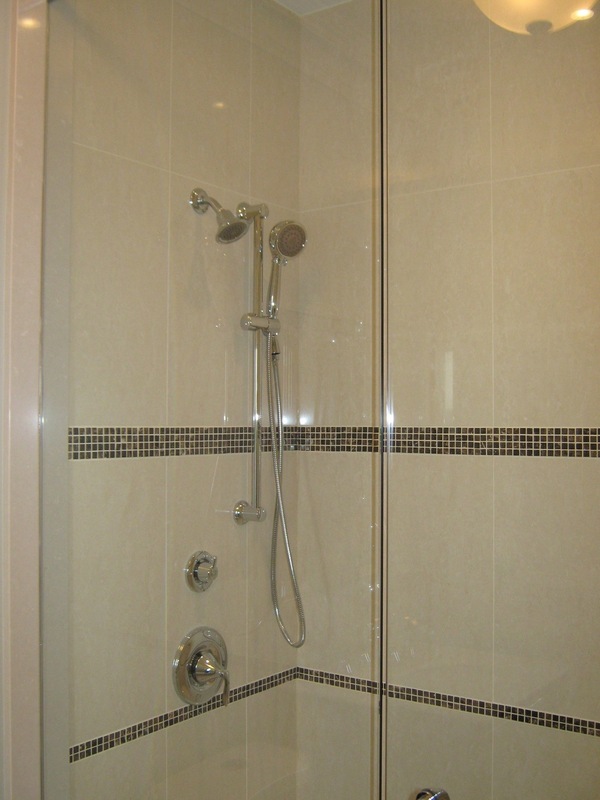 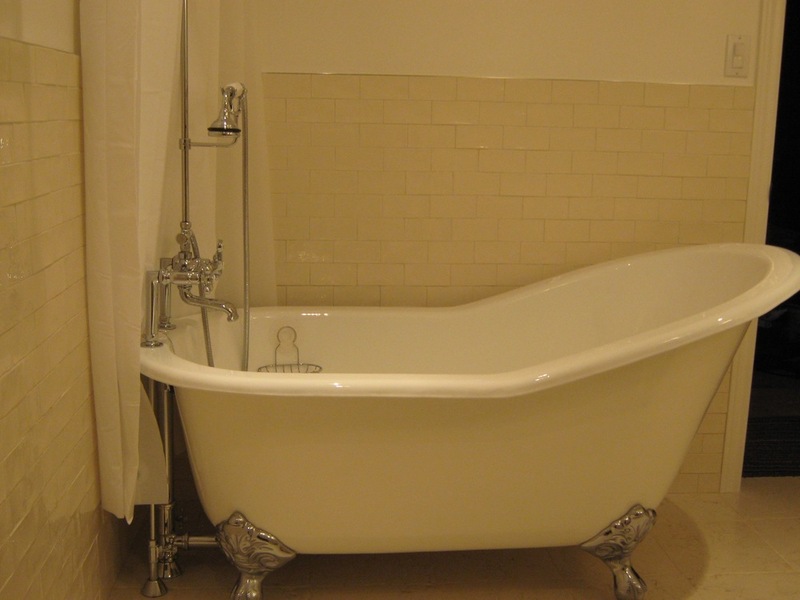 Bathroom and shower tiling should only be done by experts due to the high traffic and all the plumbing. 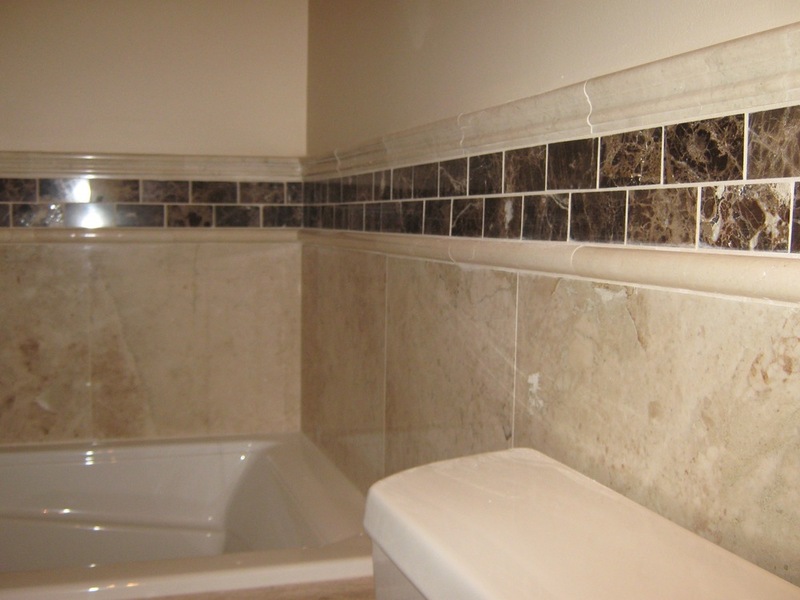 We take pride in the work you can rest assured there we are experienced in every corner of bathroom tiling. 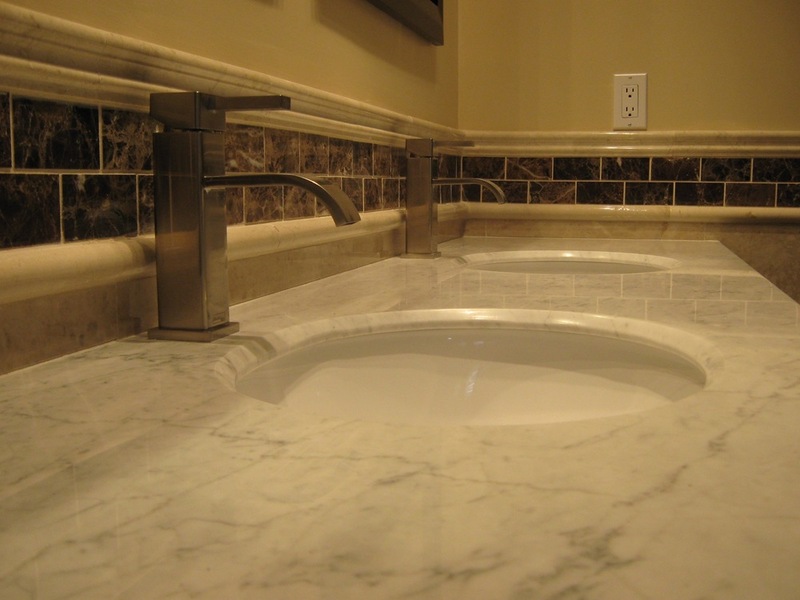 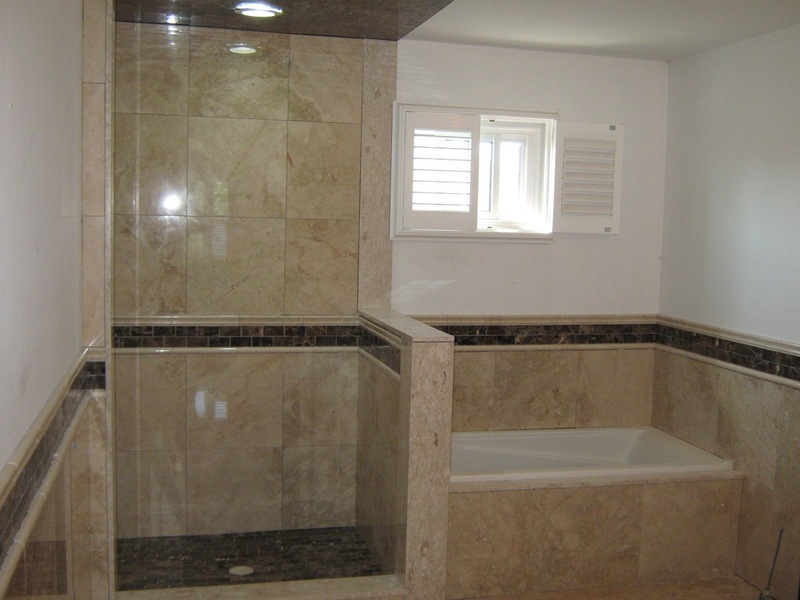 From shower walls, ceilings and floors to niche, trims, shower benches and more. 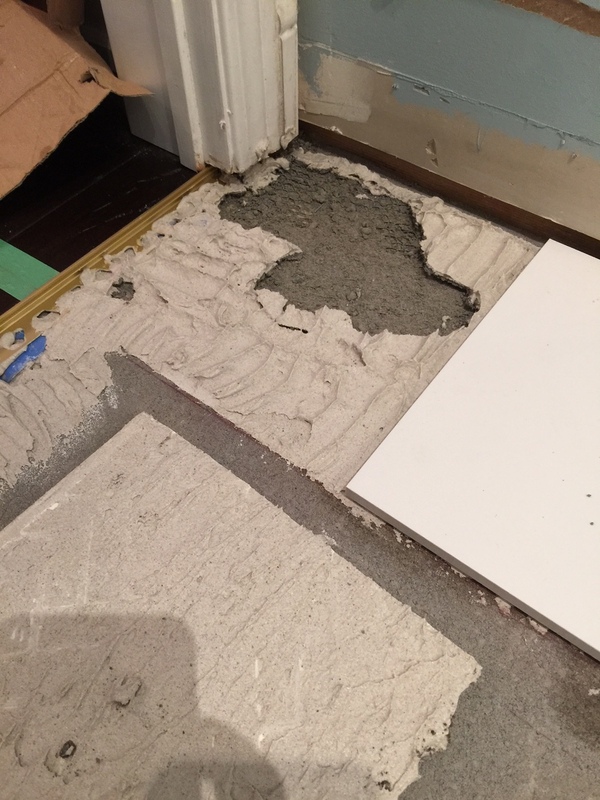 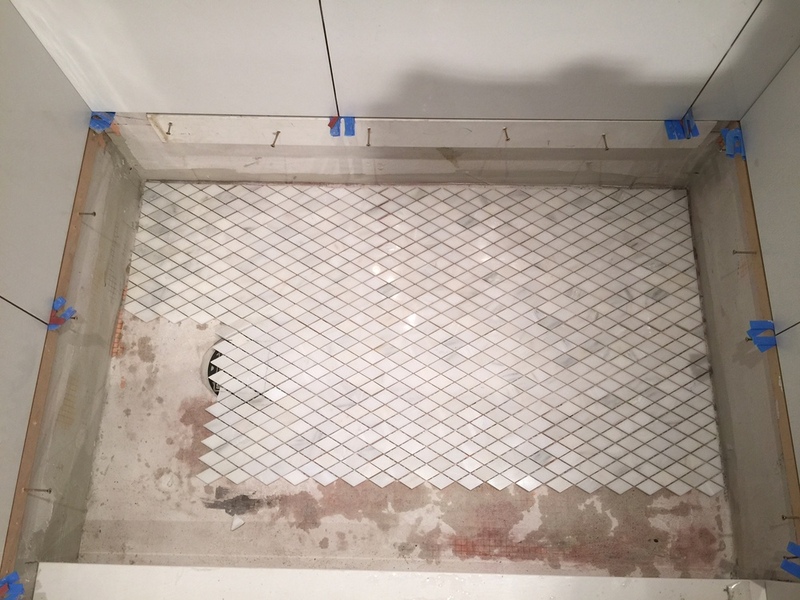 Some of the most important details are slopes to keep water from puddling in certain areas like shower floor, shower benches and shower thresholds. 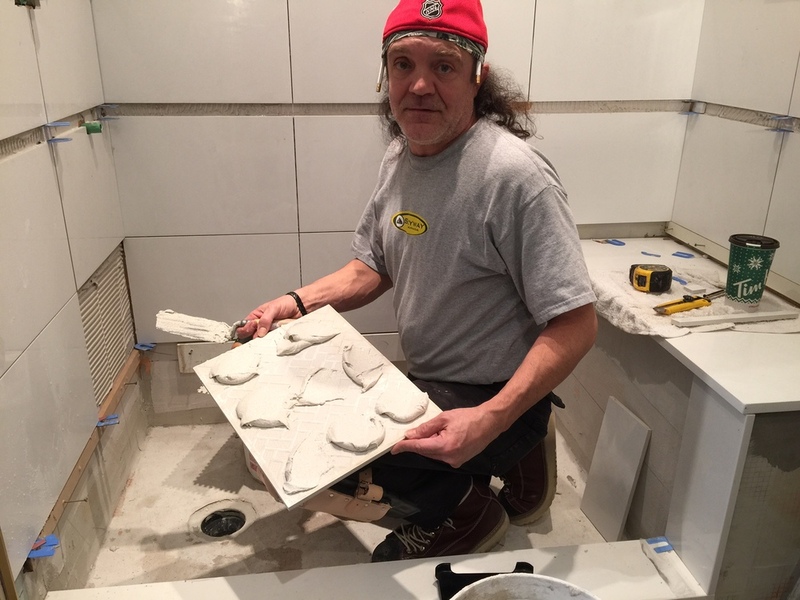 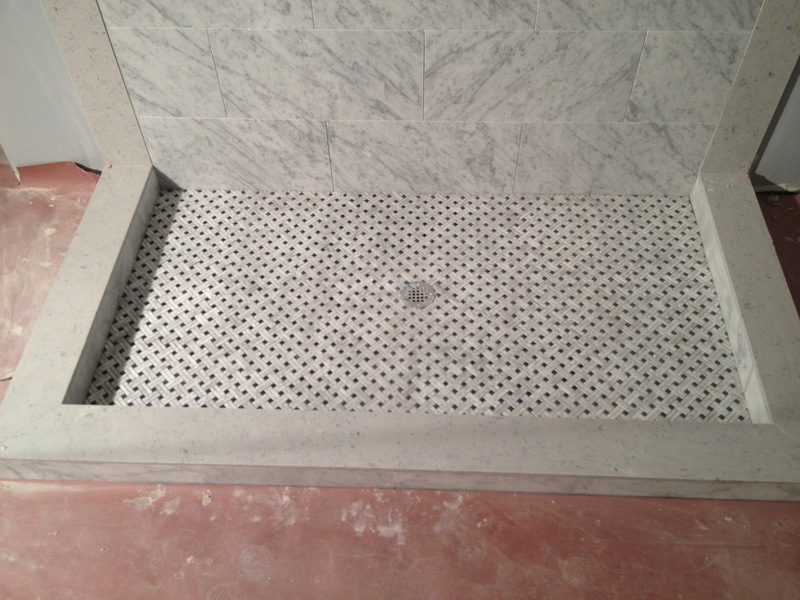 Other important details are proper grouting and proper tiling around shower drains. 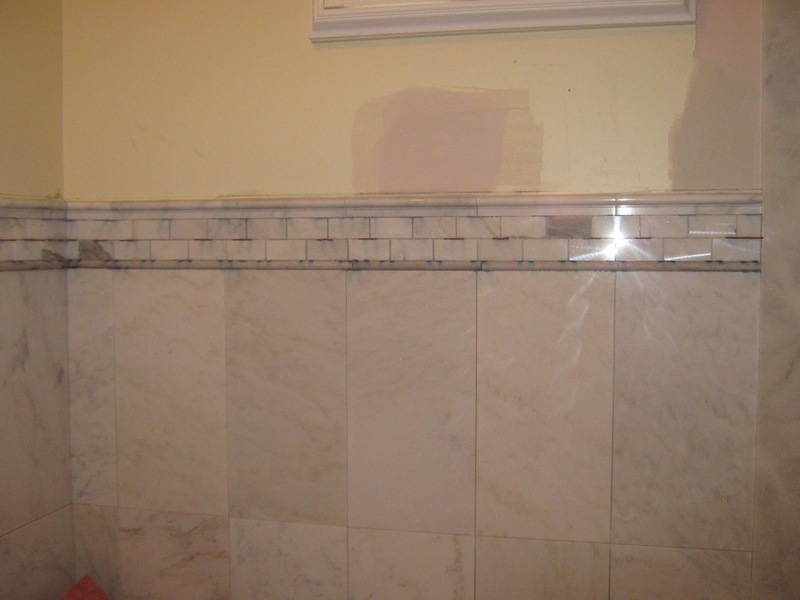 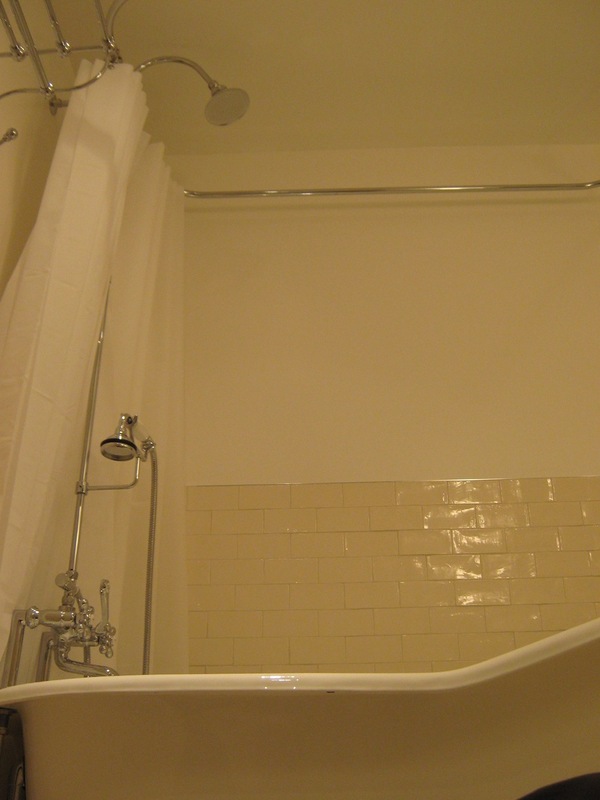 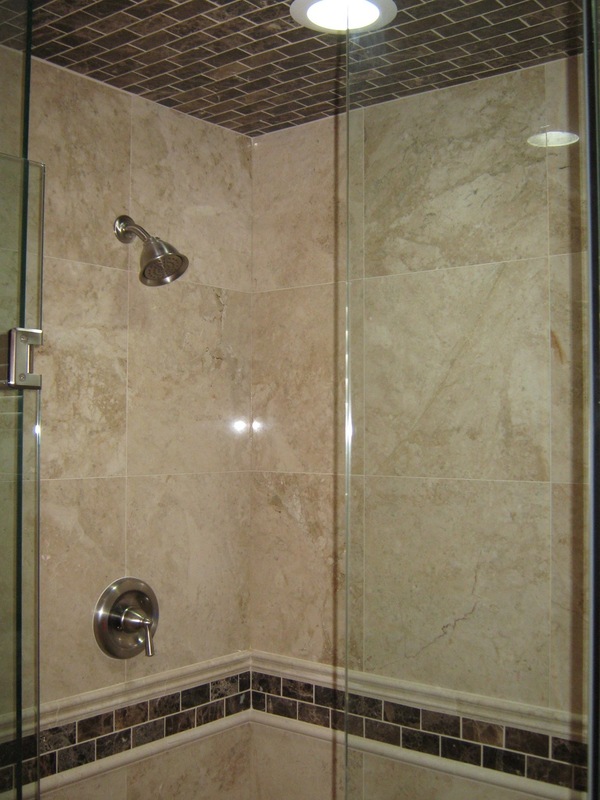 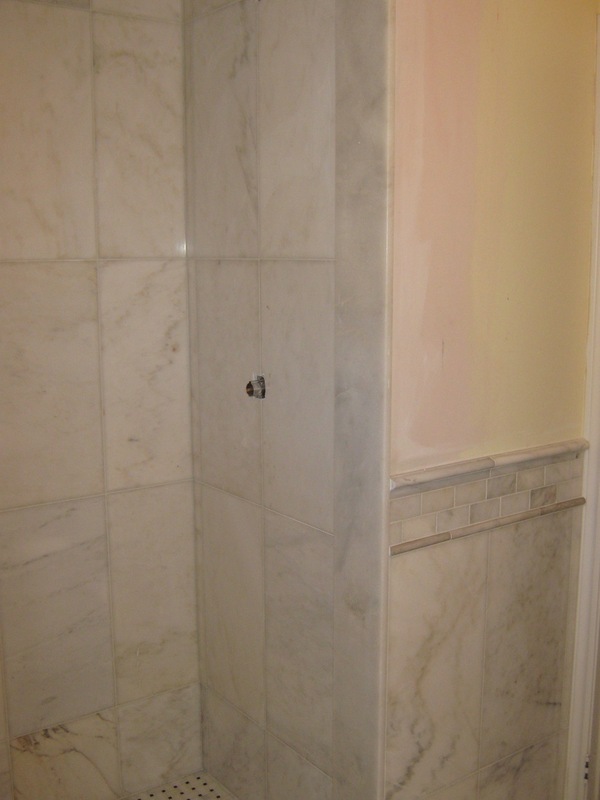 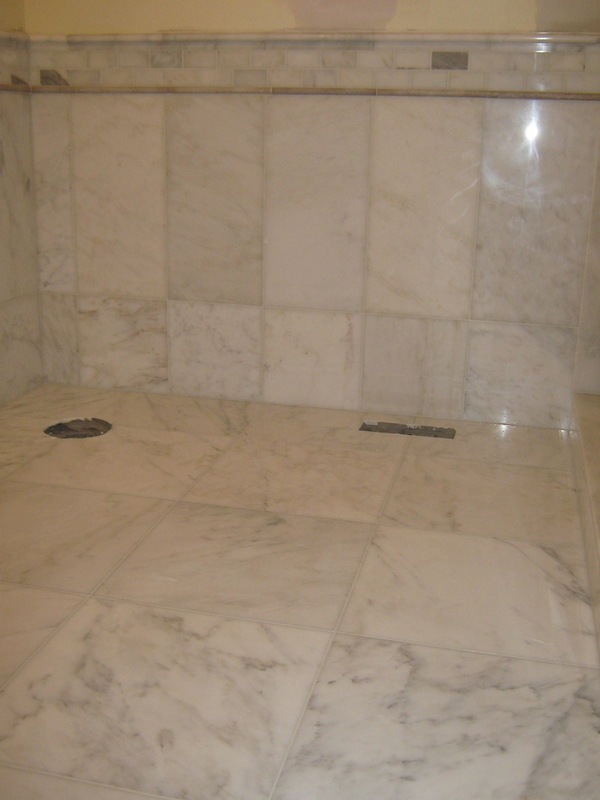 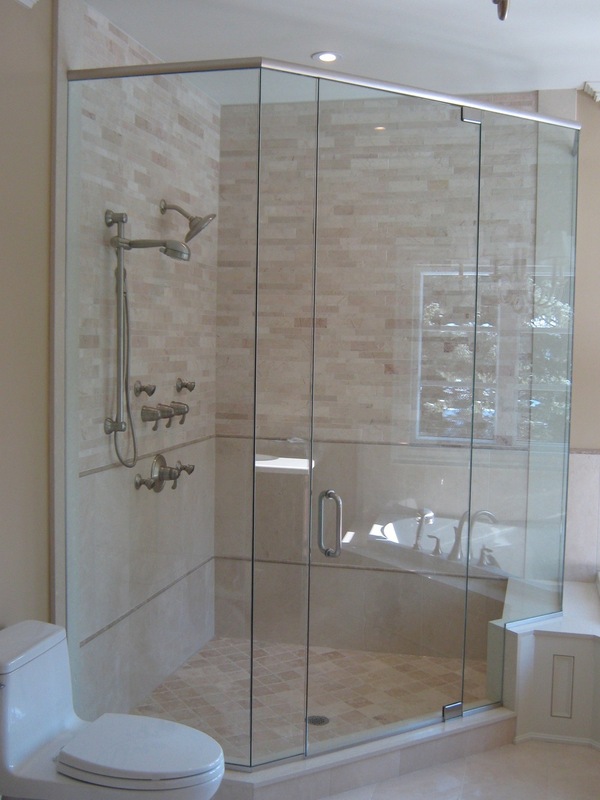 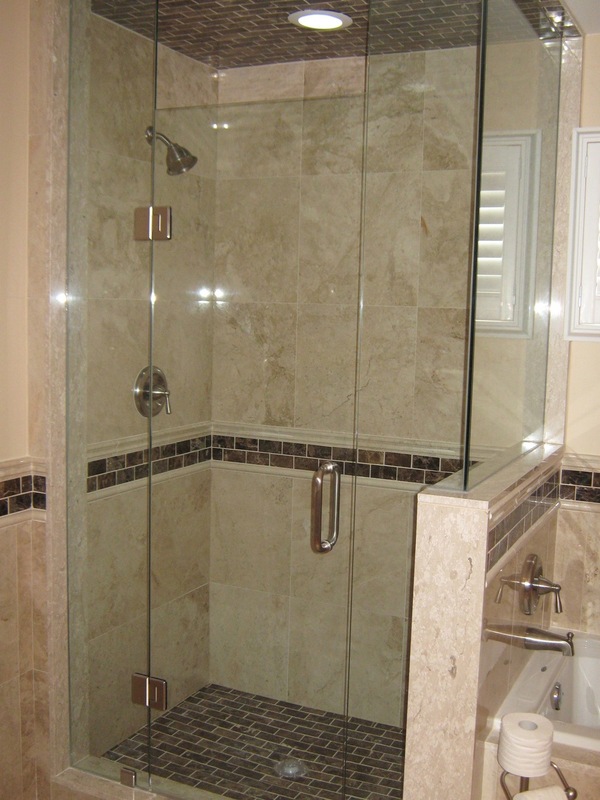 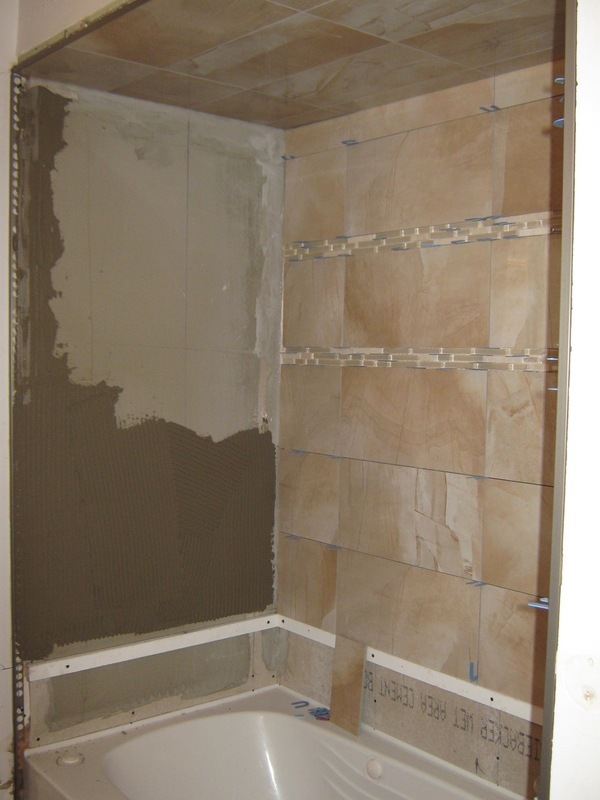 Waterproofing your shower is the single most important step in the entire bathroom renovation. 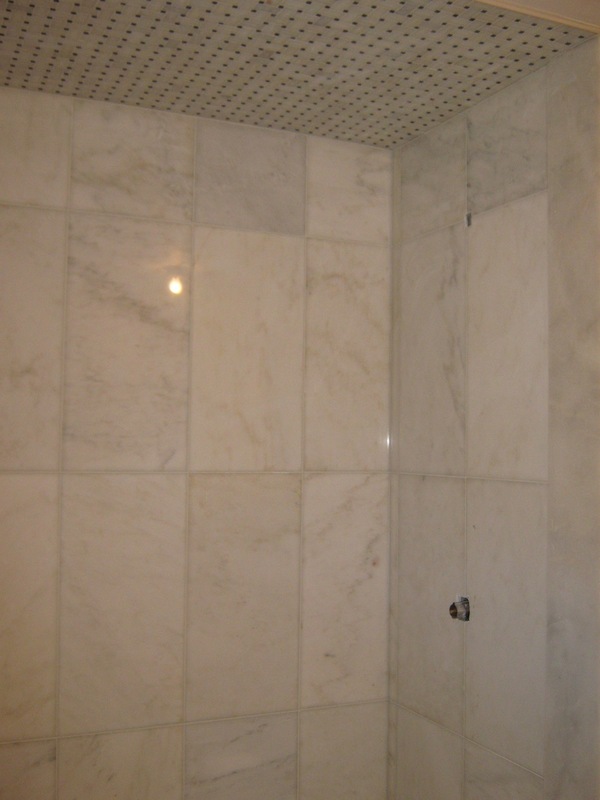 Showers that were not waterproofed with the utmost attention to corners, seams, around the drain will definitely leak. 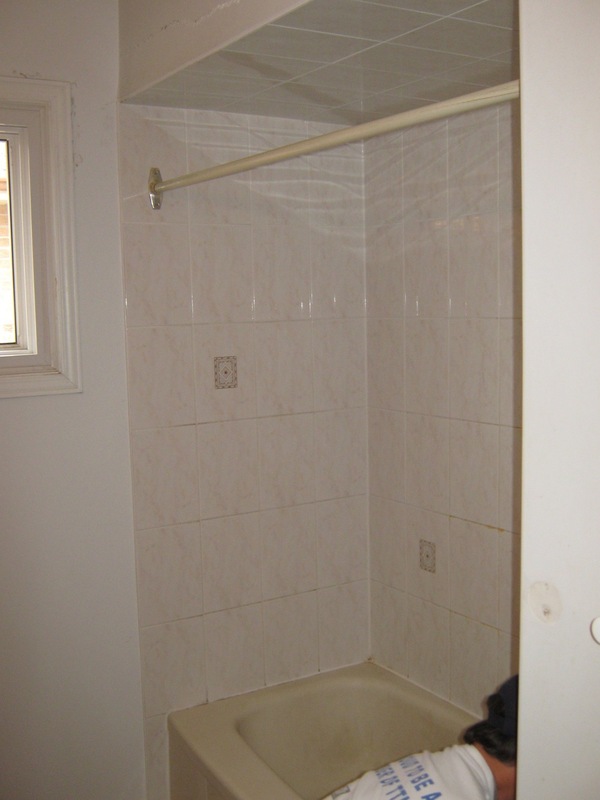 This can be a nightmare and very costly to the home owner. 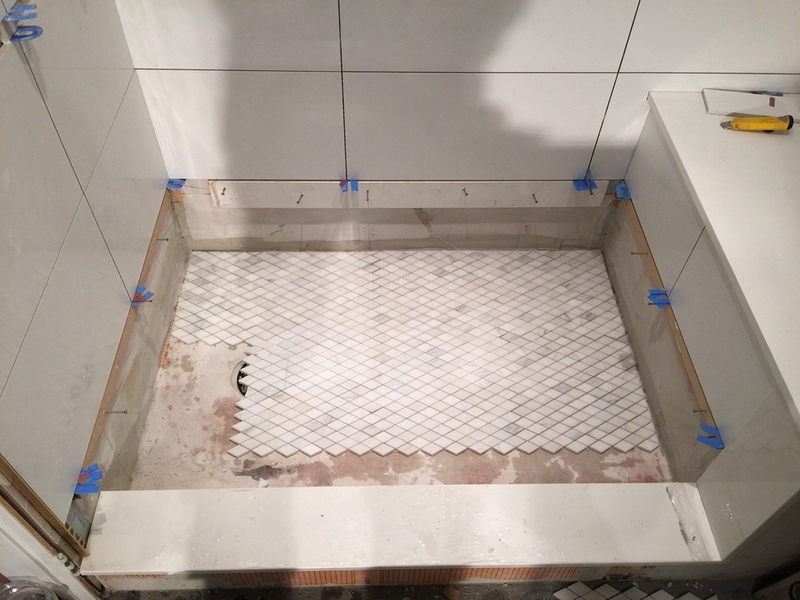 With Prestige tile installers you can rest assured we take our time and create a 100% waterproof shower, leaving absolutely no passage for water to seep through walls, floors or around the drain. 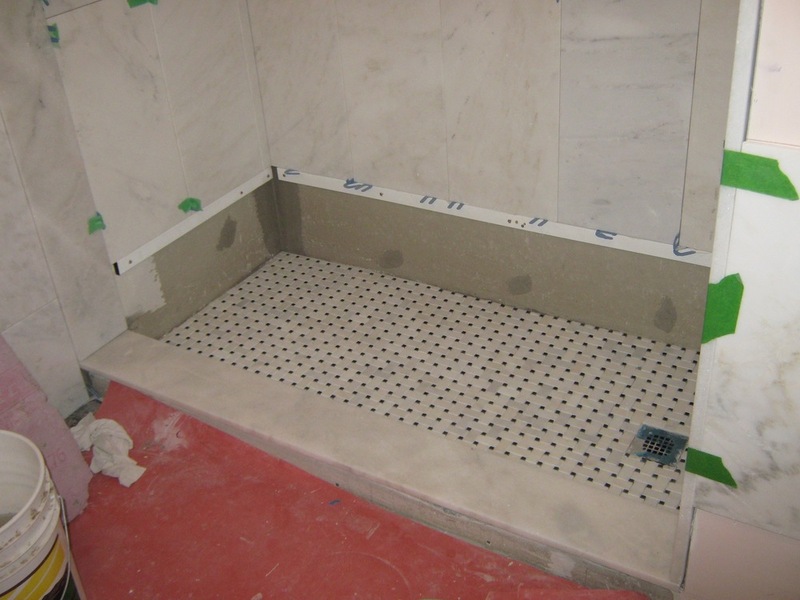 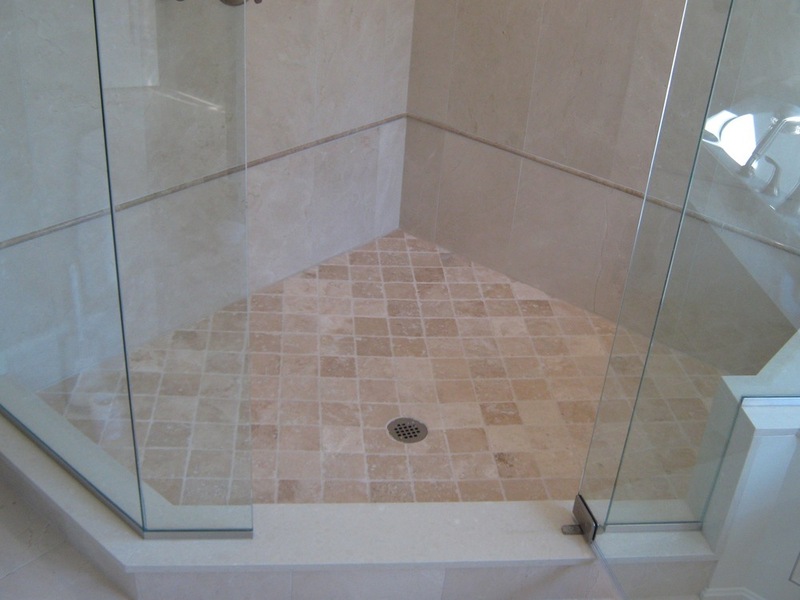 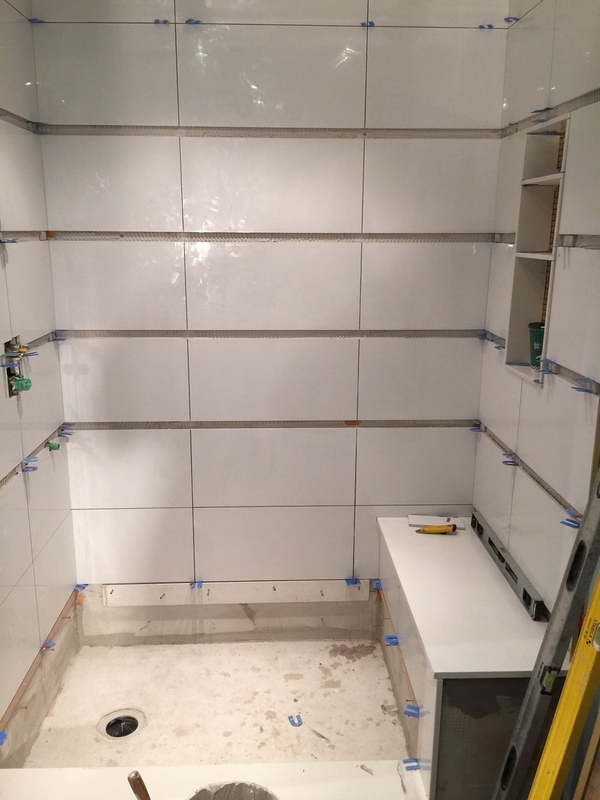 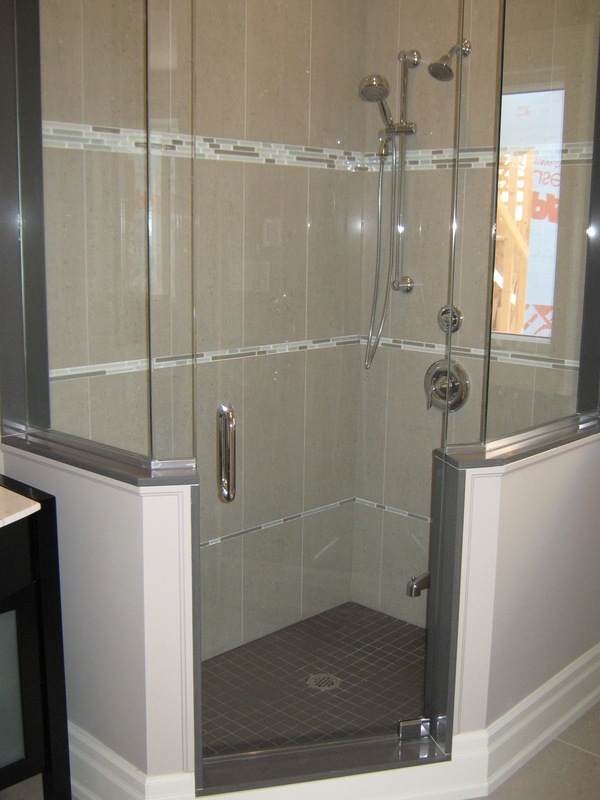 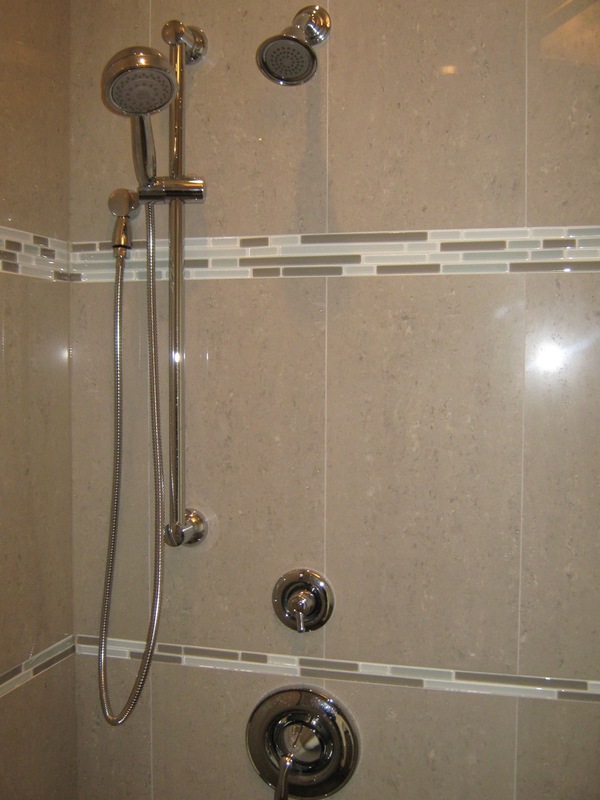 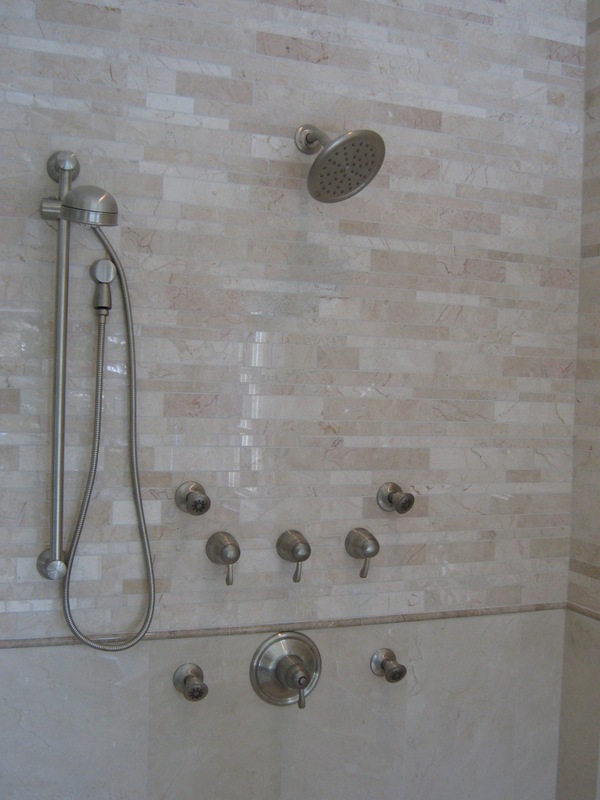 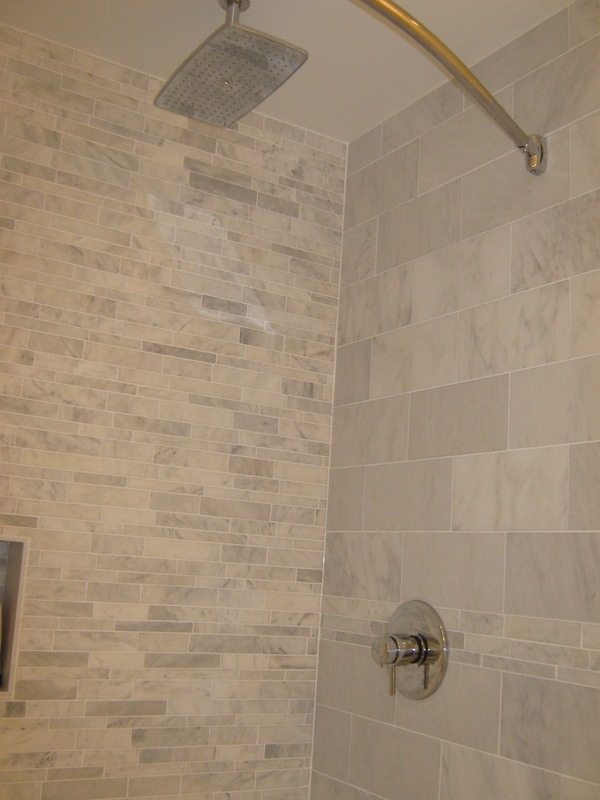 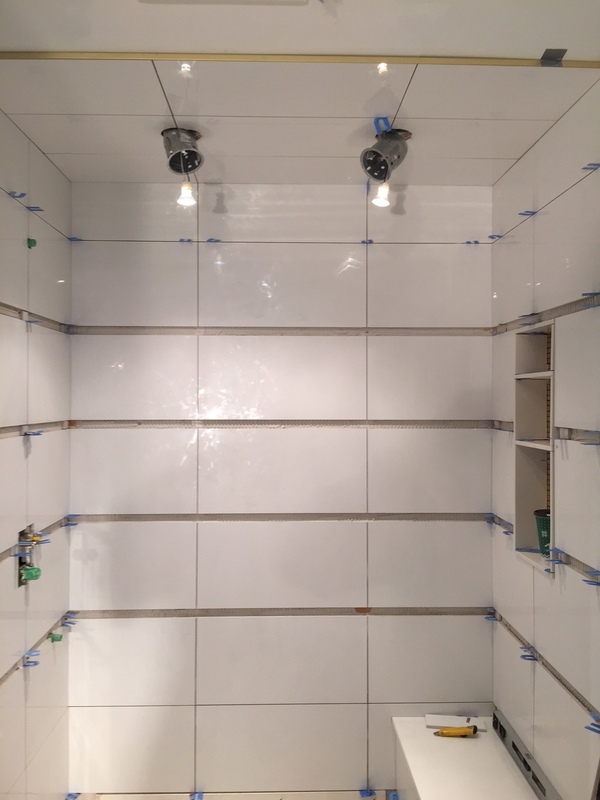 We waterproofed countless shower and baths using Kerdi Schluter Systems or backer boards.